Predators and parasites of grasshoppers are numerous and at times play an important role in maintaining grasshopper populations at low densities. Unfortunately, under favorable weather conditions, population increases may overwhelm the natural controls, and grasshoppers may reach high densities. A biological control that has been tested extensively and is commercially available is the protozoan Nosema locustae (Nolo Bait). Nolo Bait has an REI of 4 hr and is slow acting. It may not reduce grasshopper populations to subeconomic numbers the year of application. Also, the timing of application is important. Two other organisms, the fungal pathogen Beauveria bassiana and Entomophus grylli, are being tested as commercial biological control agents. 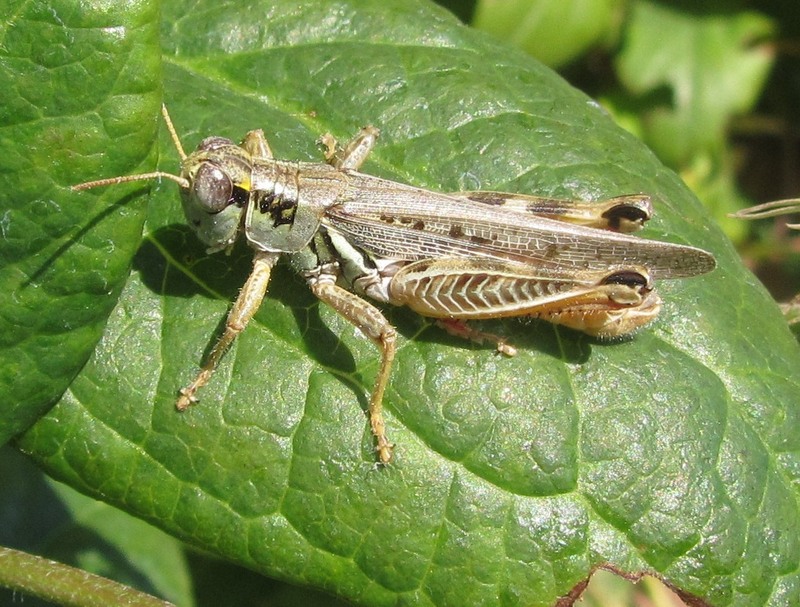 Disturbance or maturation of crops may cause grasshoppers to disperse. Take care not to cut vegetation or till soil of fields harboring grasshoppers if susceptible crops are being grown nearby. Large blocks of crops with less crop edge tend to be damaged less than smaller blocks. acephate (numerous products) at 0.25 to 0.5 lb ai/a. PHI 14 days. REI 24 hr. Do not feed treated vines. Do not exceed 2 lb ai/a per year. carbaryl (Sevin bait) at 1.5 lb ai/a as bait. PHI 3 days for harvest of succulents, 21 days for harvest of dried, 14 days for forage, and 21 days for hay. REI 12 hr. Do not exceed 6 lb ai/a per crop. Toxic in aquatic habitats. esfenvalerate (Asana) at 0.03 to 0.05 lb ai/a. Apply reduced rates (0.02 to 0.03 lb ai/a) to first and second instar larvae. PHI 21 days. REI 12 hr. Do not exceed 0.2 lb ai/a per year. Do not feed or graze treated vines..
malathion (numerous products) at 1 lb ai/a. PHI 1 day. REI 12 hr. Do not graze or feed foliage to livestock. Washington and Oregon only. Grasshoppers are not specifically cited on the label.